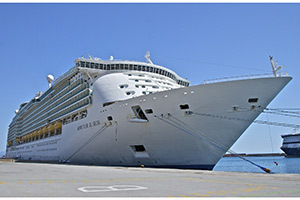 When shopping for a cheap cruise one of the golden rules is to never settle for an initial price. More importantly, avoid booking through a cruise line who will generally off load their cabin tickets to specialist sellers such as travel agents and online travel sites. There is an art to nailing the cheapest price possible for a cruise and unless you are an experienced cruiser, you will be unaware of some of the best tips for finding a cheap cruise. Shopping around is sound advice. For example, if you are planning well ahead, say 6-7 months in advance and the cruise vacation being advertised is appealing, then with a little vigilance, you can get the initial price down. This tactic is used effectively by a regular cheap cruise hunter friend who was happy to share this tip with us. He cruises once a year and is an absolute fan but a very prudent shopper. A Carnival cruise scheduled to leave Florida for the Caribbean was being advertised at $1100 per couple for basic accommodation. By shopping around, this price was eventually reduced to just under $1000. By shopping around. A list of travel agents offering cabins on the cruise was made and after spending a couple of hours on the phone to each of them, the final price was settled on. Basically, our prudent shopper just asked each agent what they were prepared to discount the cruise ticket at and then presented the lowest bid to each of them. The interesting aspect was most of the agents were willing to wheel and deal. Whether you are prepared to go to this much effort to secure a cheap cruise deal is up to you but remember, there is usually room to move and if you accept the initial sticker price without asking the question, then you could be costing yourself some extra money.